This very pretty bar brooch is made of 14ct rose gold and was probably made in the early 1900s. 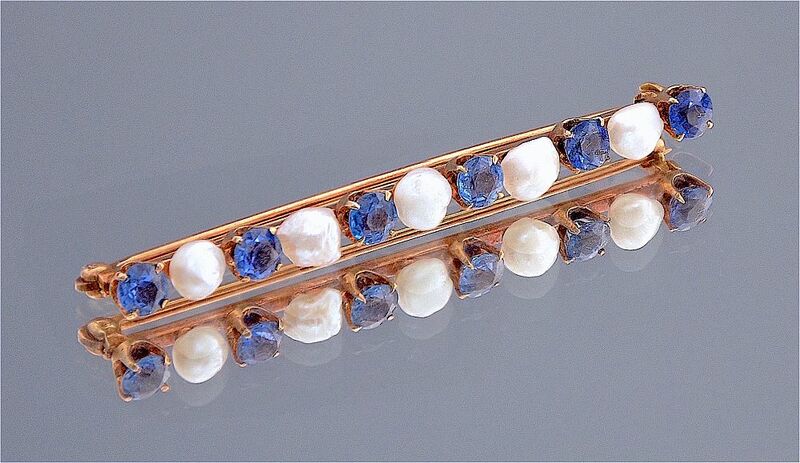 It consists of a row of 6 round 4-claw set sapphires and 5 freshwater cup set pearls that are alternatively set along the top of the 14ct rose gold bar. The back of the bar is stamped "14ct" and is also stamped with a star type emblem and a cartouche stamped with what look like 2 acorns.